our customers in oil & gas, food, and industry. this approach has never let us down. we strive to best contribute to the productivity of our customers. PCM is a leading provider of Artificial Lift System and API Transfer Pumps for the Oil & Gas industry, focused on performance management. PCM is a leading manufacturer of food pumps and systems for transfer, dosing, mixing and filling of abrasive, fragile, viscous and corrosive fluids for the food, cosmetic and pharmaceutical industries. 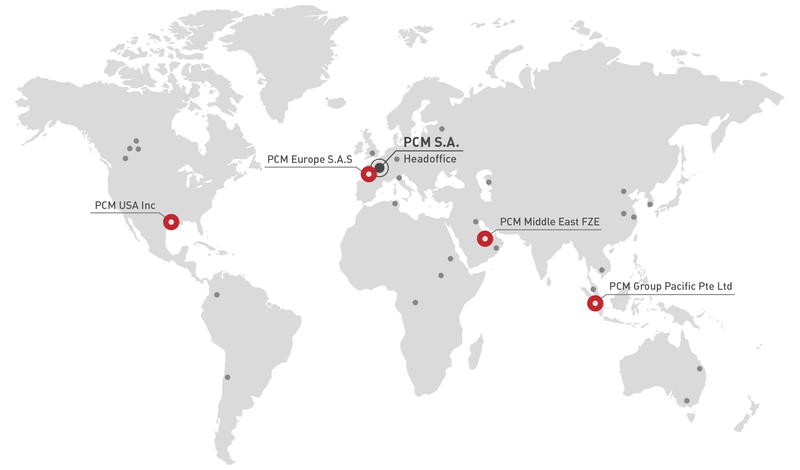 PCM serves six highly demanding industrial markets i.e. environment, new energies, pulp and paper, mining and minerals, chemicals and mechanical engineering. Each has special needs that PCM meets with perfectly adapted pumping systems. PCM HyCare™ is the most hygienic progressive cavity pump on the market. This sanitary PCP has been designed to meet the strictest food hygiene standards. For safe and reliable PCP surface drivehead solutions, look no further than the PCM Driver™ B-50 and discover the advantages and technical performances. HyCare™ is the most hygienic pump in the market. This progressing cavity pump protects the fruits of your labour. Quality, safety and efficiency are the three ingredients PCM has used to create PCM HyCare™. PCM Vulcain™ all-metal progressing (AMPCP) cavity pump. PCM has produced seven different models of the Vulcain™ progressing cavity pump, designed to meet the different requirements of all thermal recovery methods. EcoMoineau™ C, a concentration of technology! It is the shortest stainless steel Progressing Cavity Pump on the market. This eco-design pump requires less space for installation, which reduces costs and facilitates its integration and maintenance. PCM Moineau™A pumps meet all the standard requirements of API 676 positive displacement pumps, and are available in a range of materials including carbon steel, stainless steel, duplex steel and super duplex steel. PCM Design™ is a proprietary software for PCP system design and optimization. PCM Design™ is the only software that covers the exclusive PCM Vulcain™ (all metal PCP) and PCM Moineau™ HR (multiphase) technologies, in addition to standard elastomer pumps. PCM was founded in 1932 by the inventor of the Moineau progressing cavity pump, René Moineau. Non-pulsating and respectful (low shearing), the Moineau™ pump is ideal for produtcts that require a constant flow, regardless fluids viscosity or pressure. PCM industrial mixers enable to produce finished or semi-finished homogeneous products, which makes them ideal for any manufacturing process. Dosys™ pump technology sits at the heart of all PCM filling systems. Invented by PCM, it makes it feasible to replace wasteful filling systems with highly accurate and efficient inline injection. "PCM make the difference by innovating constantly to enable CUSTOMER SUCCESS"